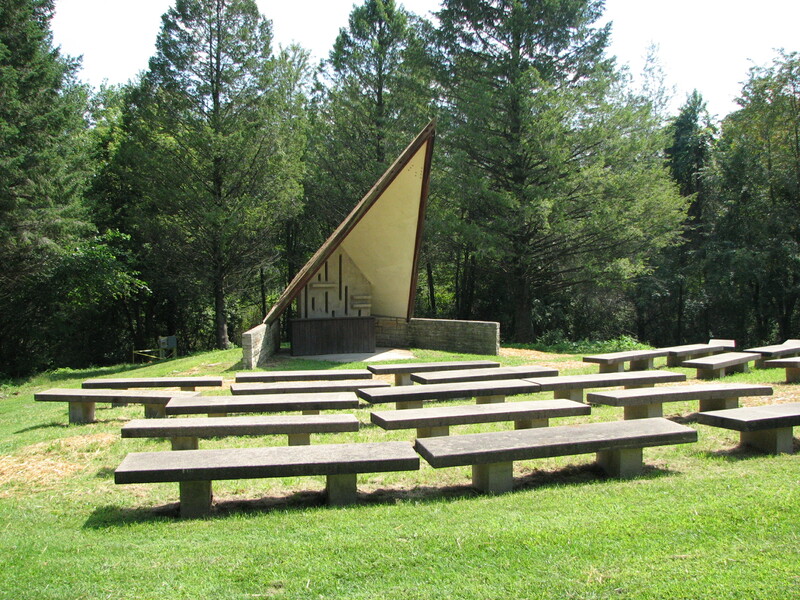 Outdoor amphitheater that once served as the Boy Scout Camp Minneyata chapel is now restored. 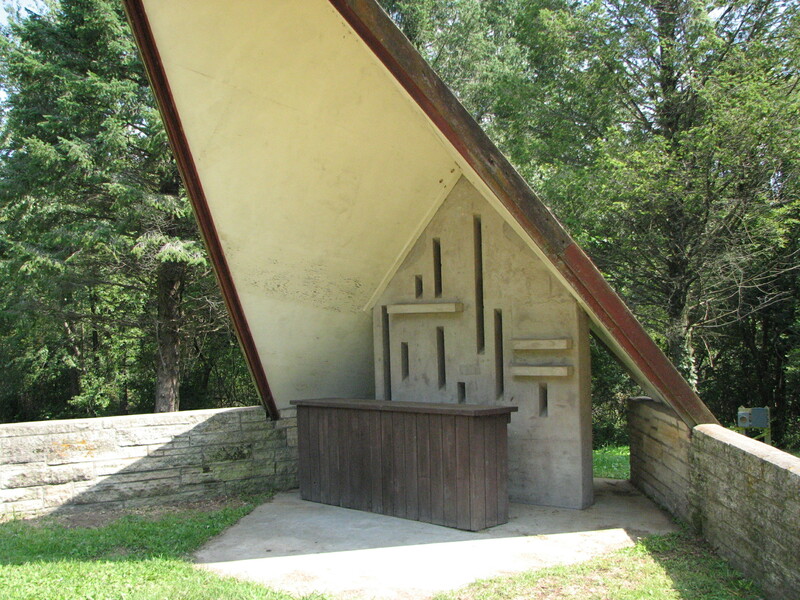 This unique outdoor setting offers a natural surrounding nestled among the pines and includes concrete bench seats, a fire pit (with wood), and a small covered "chapel" with podium. The site is located just 100 yards south from parking lot A and is accessed by trail. 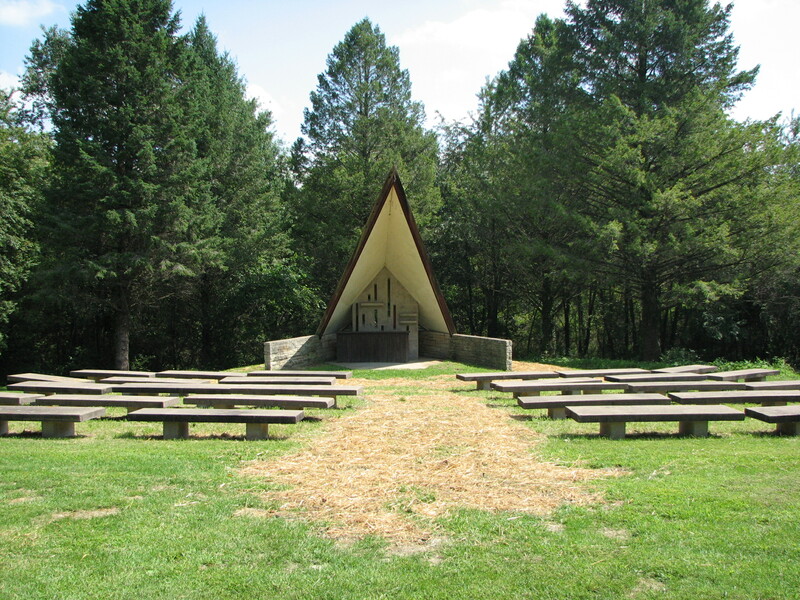 Please feel free to contact staff at the Wapsi if you would like to reserve this beautiful outdoor site for your next outing.